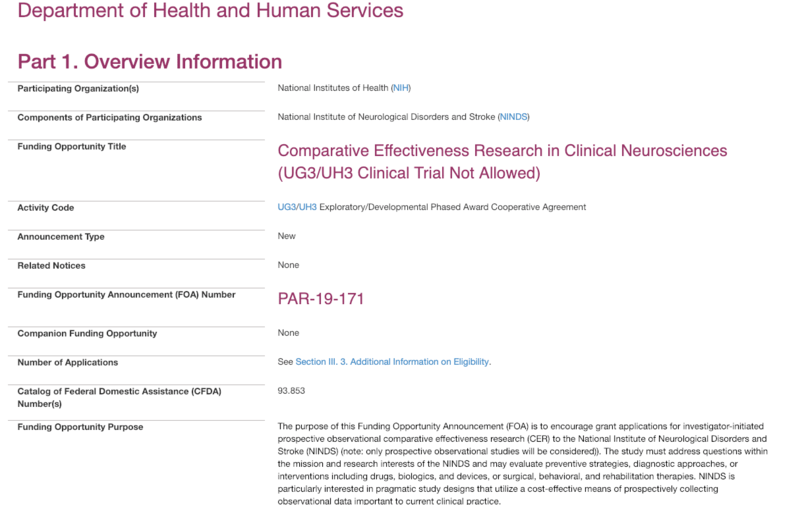 The Cerebral Palsy Research Network (CPRN) congratulates the National Institute of Neurological Disorders and Stroke (NINDS), one of the National Institutes of Health (NIH), on its new funding opportunity announcement for prospective observational trials. CPRN was borne out of an NIH meeting entitled the “State-of-the-Science and Treatment in Cerebral Palsy” in November 2014. That seminal meeting for cerebral palsy spurred several important efforts to advance the state of both clinical and basic science research. One of the main themes of the meeting was the need for more comparative effectiveness research using more “real world” methodologies, such as Practice Based Evidence described by Dr. Susan Horn, a professor at the University of Utah, than are typically supported by NIH granting mechanisms. Many aspects of CP require this type of study design to answer many pressing questions for the CP community. 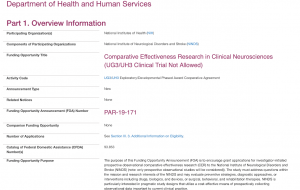 The new funding opportunity entitled “Comparative Effectiveness Research in Clinical Neurosciences” is specifically designed to support the type of observational studies that CPRN was established to conduct. “Every year, nearly 100 million Americans and their loved ones have to cope with neurological disorders,” said Walter J. Koroshetz, M.D., director at the NIH’s National Institute of Neurological Disorders and Stroke. “We hope that this ‘real world’ approach to clinical studies will help guide patients, their caregivers, and doctors as they search for the most effective treatments for their particular disease.” The initial NIH meeting, numerous follow-up discussions and consistent Congressional Report language initiated by Reaching for the Stars were critical keys to making this funding announcement happen. CPRN plans to submit a study to NINDS using this funding mechanism.